© 2015 Universal Orlando Resort. Universal Orlando Resort today announced a project of remarkable vision: to bring to life an entirely new water theme park experience. Called Volcano Bay at Universal Orlando Resort, it will join Universal Studios Florida and Universal’s Islands of Adventure and become the resort’s third incredibly immersive park. Universal’s Volcano Bay will be a place for the entire family. It will be a whole new generation of experience that reimagines what it means to be a water park. Imagine a place that offers radically innovative, thrilling attractions, peaceful moments of relaxation and an inspired guest experience that will forever change the perception of water theme parks. It will be set in a highly themed, completely immersive environment inspired by postcard-perfect tropical islands. And it will be the kind of special place that only the Universal team – the same team that has changed the face of Universal Orlando Resort in recent years – can envision and create. Universal’s Volcano Bay will be located within Universal Orlando Resort, just south of the Cabana Bay Beach Resort. Work is already underway and more details will be released in the future. 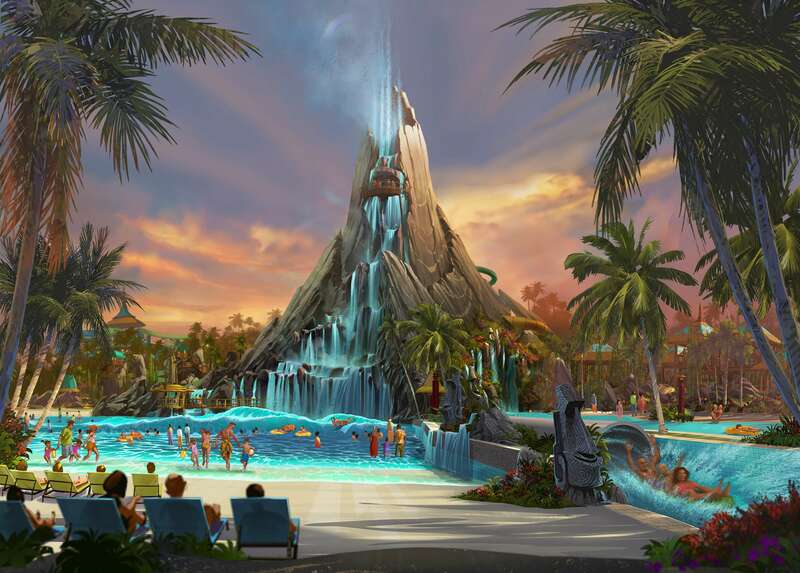 Universal’s Volcano Bay is the next in a series of boldly creative experiences that have opened and will continue to open at Universal Orlando. It began with The Wizarding World of Harry Potter – Hogsmeade in 2010 and quickly moved to Despicable Me Minion Mayhem, Springfield, hometown to America’s favorite animated family, The Simpsons, The Wizarding World of Harry Potter – Diagon Alley, eight new venues at Universal CityWalk, the breathtaking Cabana Bay Beach Resort and more. It will include Skull Island: Reign of Kong and Loews Sapphire Falls Resort in 2016. And then – in 2017 – will come Universal’s Volcano Bay.